Planned Maintenance | Estes Refrigeration, Inc.
Estes Refrigeration, Inc. provides a full range of pharmaceutical, commercial, and industrial refrigeration maintenance services. We have technicians available for emergency breakdown service as well as planned maintenance throughout the Bay Area. Estes offers customized maintenance programs incorporating customer requirements and documentation including validation documentation, comprehensive equipment history records, and thermal imaging to check for leaks, bad fuses, hot compressors and various other problem areas. As most facilities and maintenance engineers know, proper maintenance on chiller, condensing units, and all refrigeration components is critical to efficient, trouble-free operation. Deferring maintenance on critical equipment can be risky. It can increase the odds that a system failure will occur. If one does, it usually will cost more than the cost of the maintenance that could have prevented the failure in the first place. When you sign a preventive maintenance contract with Estes, you’re given preferred customer attention, regular visits, and top priority when your refrigeration equipment needs service. PM customers receive a 5% off all parts. As much as 80% of all compressor failures could be eliminated if the problems leading to the failure were corrected in a timely measure. A refrigerant undercharge of only 10% can increase operating costs by almost 20%. Refrigerant should never need to be replaced under normal operating conditions. 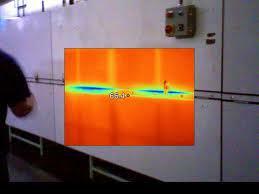 If refrigerant must be added every year, an expensive leak exists that should be repaired. A dirty evaporator, condenser or blower can increase operating costs by 50% or more. Just 1/100 of an inch of dirt or film on an evaporator coil can reduce its efficiency by 5%. Uncorrected small problems can lead to very expensive repairs.